Today is the day 7 of our Self drive in Thailand and our highlight of the day is Elephant camp but before we checked out of the Horizon Hotel, we stayed a bit longer in the morning to explore the most beautiful botanical garden in Chiang Mai. 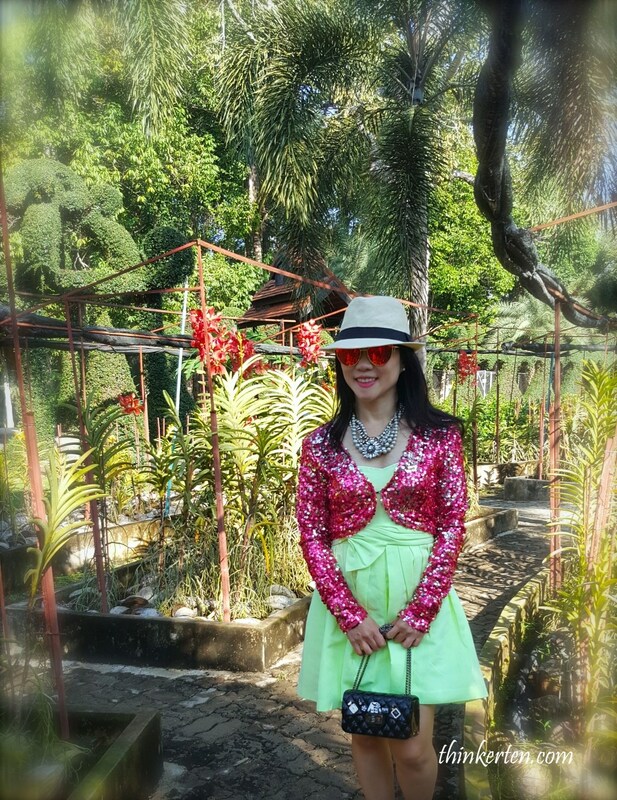 The Tweechol Botanical Garden is part of the Horizon Village & Resort property that I stayed in. 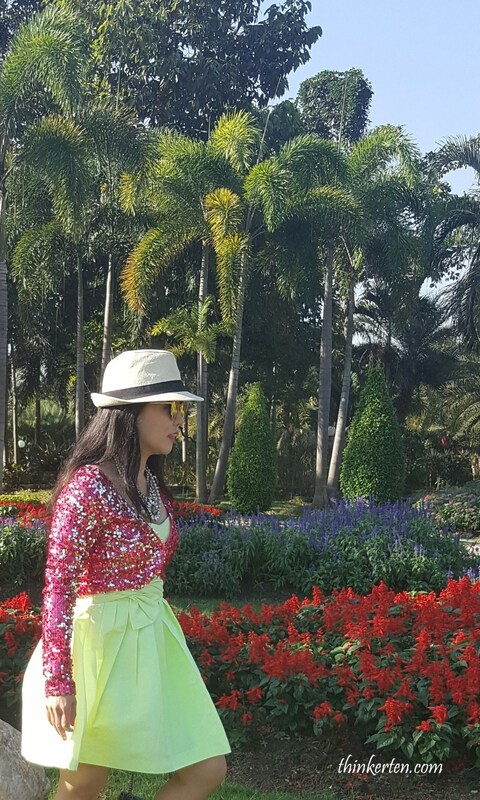 The botanical garden is worth to explore. It has one of the largest collections of plants in Thailand collected over the years. I personally think that this is one of the well kept gardens I have ever seen. We hopped on the tram free of charge as we were guests staying in the Horizon Village & Resort. We managed to catch the first tram at 930am and toured around the whole Tweechol Botanical Garden. The tram operator spoke in Thai but I can still enjoy the beautiful garden and searching for the English signboard to understand the plants and herb. It only took 20 to 30 mins to tour around the whole Botanical garden. 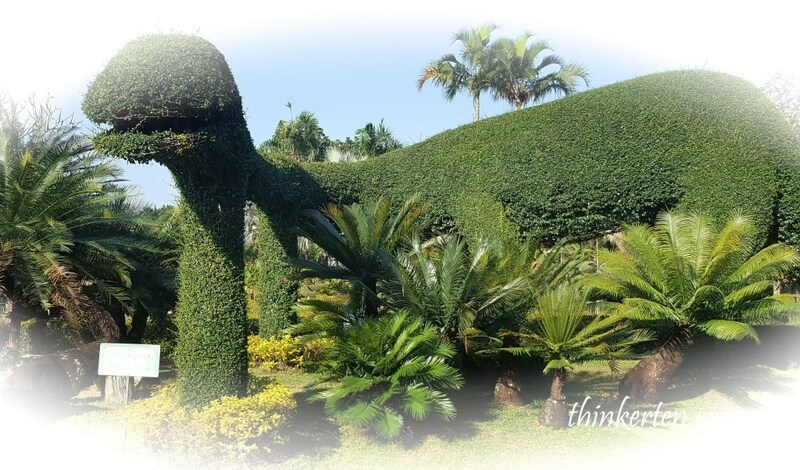 Among the many delights of Tweechol Botanic Garden is an outstanding display of topiary in the shape of birds and animals. I spotted a long-necked, cute herbivorous dinosaurs with no sharp teeth! After the 30 mins tram ride, I decided to rent a bicycle to explore slowly on my own and to get a closer look. Rental bicycle is 30 baht, you could also rent the golf buggy or rent a boat to paddle in the pond. It was such a wonderful place to relax and wander but I strongly recommend to renting a bicycle. Riding on this cute little bike in the early morning Chiang Mai breeze was such an enjoyable day to start with. The Horizon hotel is actually situated in Tweechol Botanical Garden, the Horizon hotel is called resort in the botanical garden which was originated by Mr.Tweesackdi Sesaweech and his wife, Chalarng Sesaweech. Both has strong passion in gardening as I can see the garden was very well maintained. A lot of hard work. The paths are well paved and it was easy ride on bikes and very nice to walk on. I stopped by to visit the flower garden. 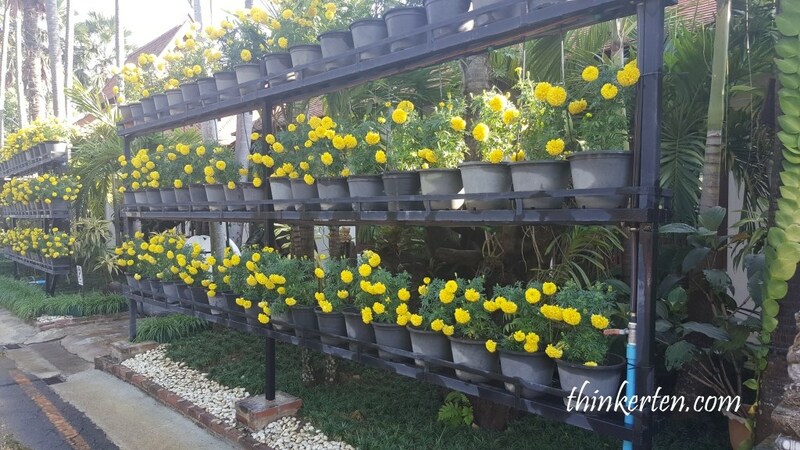 The moment when I walked in, I found beautiful of flowering plants, with blooms that are colorful and fragrant. Great day to start some photo session. The temperature was still cool, normally it started to go higher and hotter from 11am onwards. There is beauty in every turn and a calm and serene feel. This garden is enchanting including a small petting zoo with a white peacock and other exotic birds. 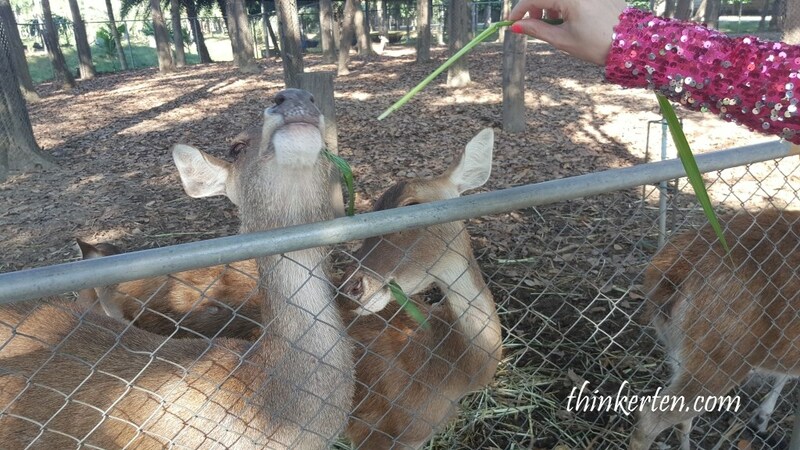 I stopped by a small petting zoo and found there were few Thai deers sitting lazily and not looking at me at all. The moment I took the plant from basket to feed them, they started to like me very much. It was very fun to see them eating the plants from my hands. They grabbed the plants from my hand and gobble like a hungry ghost. I can also hear the loud crunching sound when they were munching the plant. 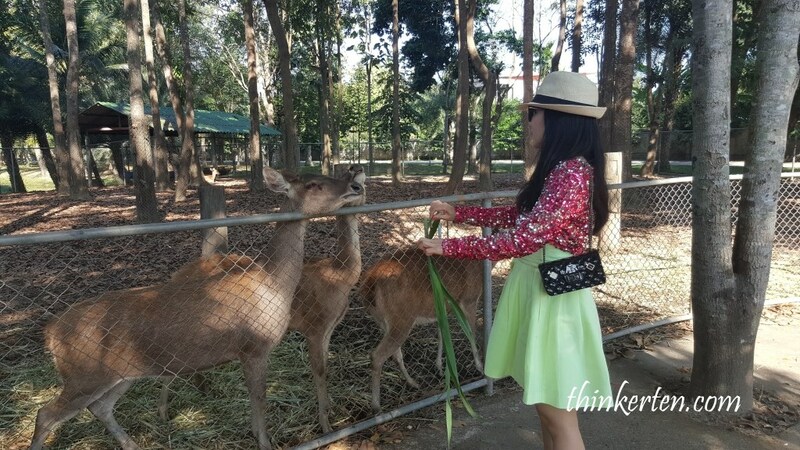 I was actually a bit worried these Thai deer would bite my hands. When I looked closer, I found that they have beautiful straight teeth, it looked really funny to me. Their teeth look like they have just done the correction with braces. Super straight! I spent about one and half hour in this wonderful garden oasis. My Biking experience was relaxing and great! We left the Horizon Village & Resort in Tweechol Botanical Garden at around 11am and headed to today highlight – The elephant camp. 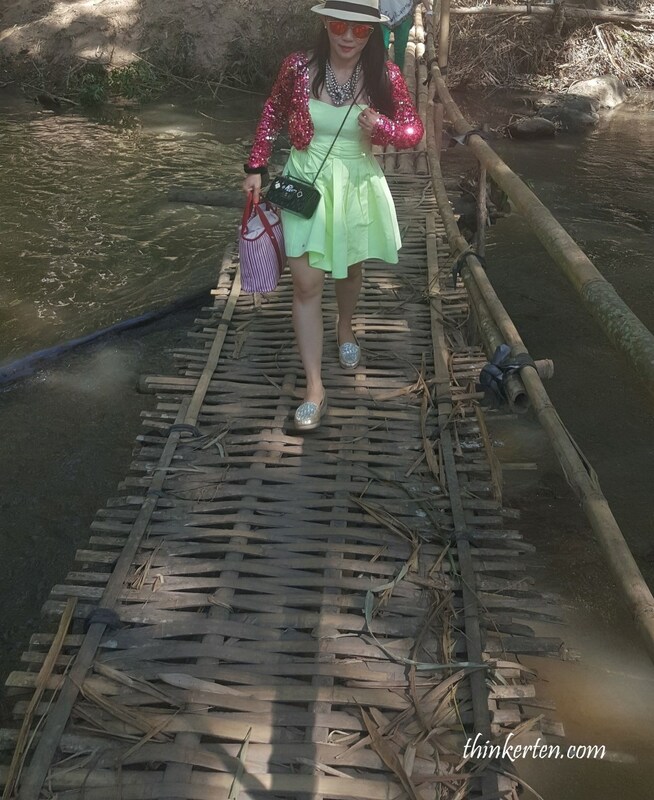 It was an hour and a half drive to reach Mae Wang where the elephant camp is. There were few elephant camps around that area. Most Elephant Camps usually put on Elephant shows where the Elephants show off their various skills, such as drawing, play music or kicking the ball. The one we went did not have any show, I prefer not to see the elephant show as I thought it was cruel to these lovely creatures. When we reached Mae Wang, we had a hard time finding the Mae wang elephant camp, we stopped and asked around but the people were just pointing here and there, still we could not find the camp. Then we drove to the main street in Mae Wang, there were many stalls selling postcards, little thing and drinks. 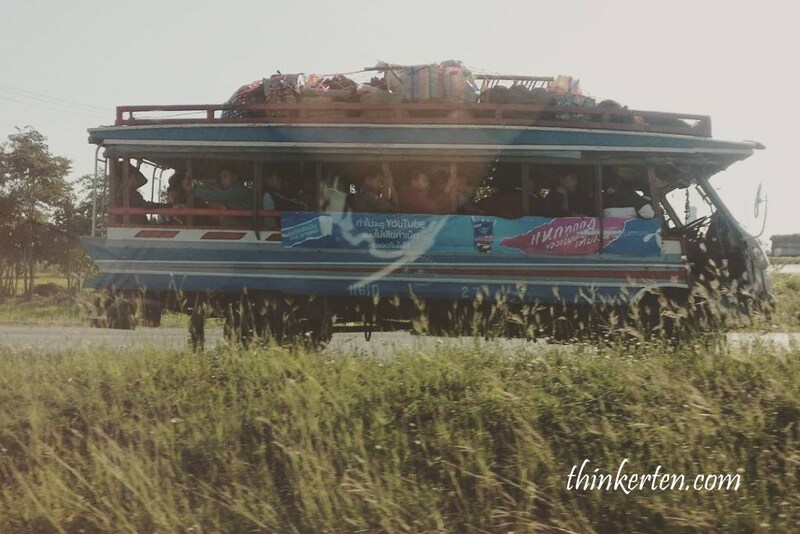 I saw many tourists stopping by and get on a tuk tuk or van to somewhere. I asked the man in the shop if he knew where the Mae Wang Elephant camp was. Coincidently he told us he owned an Elephant camp and can bring us there. An elephant ride through the jungle and river takes 45 mins and cost 1000 baht. If you have 2 pax, you can share the cost. The elephant can carried up to 3 pax. One person sit on his neck and the other two can sit comfortably on his body. The owner of the shop told us we can either drive our own car and follow him or he can also drive us there. We actually wanted to drive our rental car and follow him but he insisted to drive us there. Because his English was not too good, I personally did not understand the reason why we must follow him in his car. I have no choice but to trust him for the time being but still feeling very worried. The thought of jumping out of his car flashed from my mind from time to time. The roads get really bumpy and before I could be more worried, he stopped and park his car and told us we have arrived at the Elephant camp. I still have doubt on him as the sign of elephants were not being seen at all. He lead us to the bamboo bridge and across the other side of the bridge were the elephant camp. I was relieved and meanwhile can’t wait to meet up with the elephants. The man told us the elephant camp was his family owned and operated business. We also saw his mom bring in load of sugar canes to the camp by the truck. Elephants love to eat, sugar canes are one of their daily diet. I was given a basket full of banana and sugar canes. I started to feed the elephants and petting them. It was a real experience with elephants so up close. I also noticed the elephants in the camp are cared and loved! The guides were friendly and the elephants were obviously very well looked after. The guides frequently spoke with these creatures in Thai and the elephants responded back. The elephants eat a lot and poo a lot too. 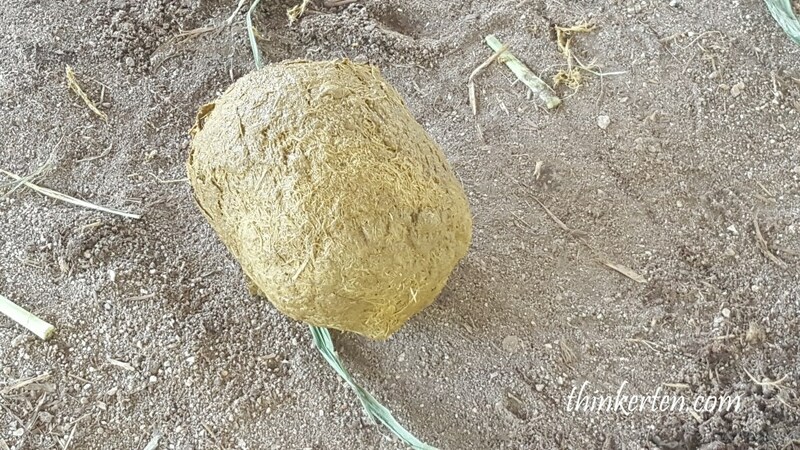 I was shocked to see how huge it was the elephant dung, as big as a soccer ball. Some elephants in Thailand is being used to produce some of the world’s most expensive coffee. This exotic brew is made from beans eaten by a herd of elephants, and plucked a day later from their dung. But I think this one here in the picture has no coffee bean. Before I left, I handed 100 baht for the guide as his tip. He has followed us by foot throughout the 45 min jungle trek. The guide did not ride with us on the Elephant, he was just guiding the elephant and leading him through the river and through the jungles. I saw the guide constantly cut the leaves and plant from the river bank to feed the hungry elephants. The elephant refused to move if there was no food given to him so from time to time, the guide has to feed him. It was both exciting and thrill to ride on the elephant through the river and into the jungles for about 45 mins. It was a fantastic experience and is unforgettable. It was the best thing to do in Chiang Mai. We left the elephant camp at around 4 pm and drove to Chiang Mai city. 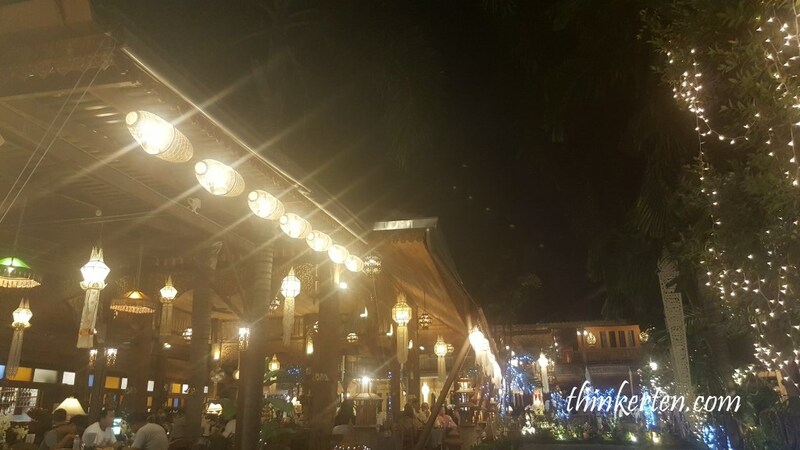 Tonight we stayed in Imperial Mae Ping Hotel in Chiang Mai city. 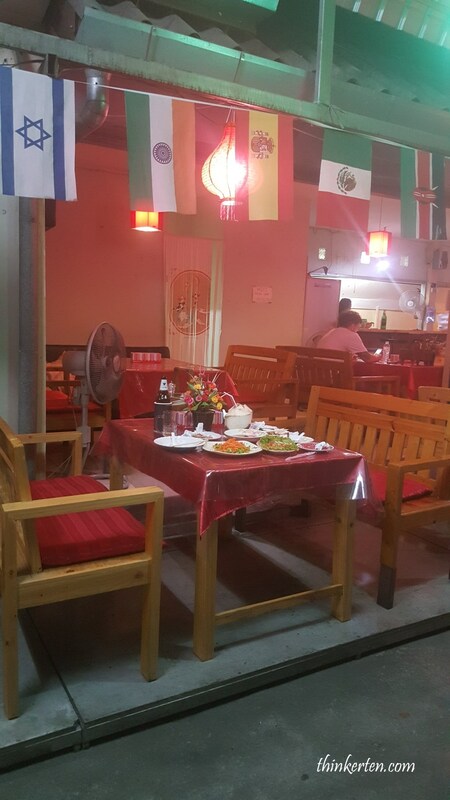 There were many restaurants in Chiang Mai city and we had Thai cuisine tonight. I had a little stroll in the night market and bought some souvenirs. 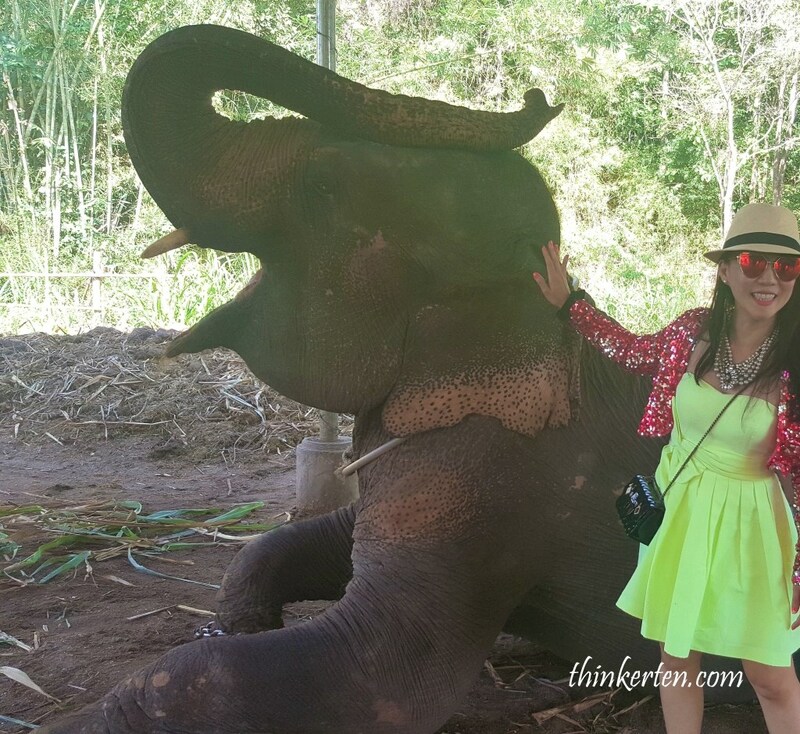 Click here to purchase Elephant Jungle Sanctuary Chiang Mai!